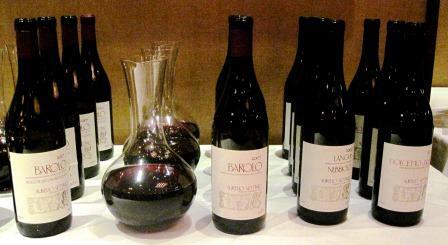 Syrah: The Most International Grape? The Syrah grape has probably achieved more prominence in recent years as Shiraz from Australia than it ever did under its own name in its native Rhône valley. However great the wines of Hermitage and Côte Rôtie, they are overshadowed in the marketplace by the abundance of Aussie versions of the grape, and even by a few California renditions. 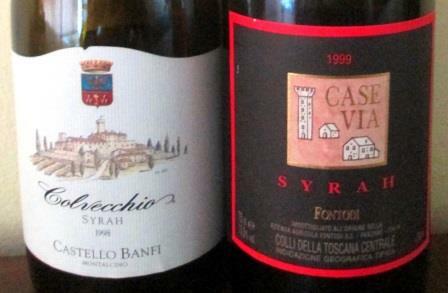 Well, add two more “foreign” Syrahs to the list of winners: Banfi’s Colvecchio and Fontodi’s Case Via Syrah. Long-time followers of this post know that I am usually no friend to French grapes in Italy, but even the most dearly held opinion has to bow to evidence (except in politics, apparently, but that’s a subject for somebody else’s blog). The evidence in this case was provided by two successive at-home dinners that sent me searching through my wine closet for something that would match well with, for the first, a provençal-style eggplant quiche, and, for the second, beef short ribs braised in tomato sauce (red wine reduction, mushrooms, celery) almost in the manner of Roman oxtails. What I came up with was, first, a 1998 Banfi Colvecchio, a 100% Syrah from Montalcino, and, second, a 1999 Fontodi Case Via, also 100% Syrah. The Colvecchio was grown in vineyards in the hot southeastern corner of the Brunello zone, and the Fontodi grew in the fabled Conca d’Oro in the heart of the Chianti Classico zone. Both bottles had slumbered many long years in my less-than-stellar storage until, at last, the moment for their star turn approached – and quite a turn it turned out to be. However little it may be known or appreciated in the States, Syrah from the northern Rhône produces some of the world’s greatest red wines – most notably, Hermitage, which George Saintsbury in his famous cellar book called “the most manly of French wines,” and Côte Rôtie, whose name – the roasted slope – tells you a lot about the kind of growing conditions Syrah likes. It remains a surprise to me, for that reason, that California hasn’t done more and better with the variety, especially in these days of global warming. Syrah’s flavours tend to be in the leather, licorice and tar spectrum with marked black pepper or even burnt-rubber aromas in slightly underripe examples but much sweeter black-fruit flavours in Syrah picked fully ripe in warm climates. Wines made from very ripe to overripe (and therefore thoroughly shriveled) berries can have flavours of dark chocolate and prunes, sometimes with porty overtones. 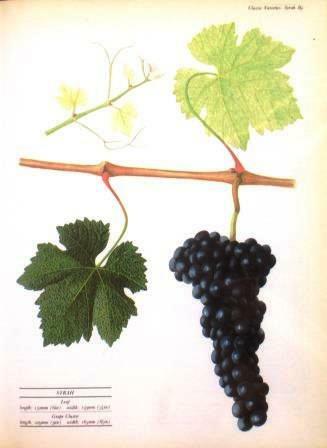 Those are, of course, the flavors of young wines that Robinson describes, and I have often tasted black pepper and traces of chocolate – dark, bittersweet chocolate – in young Italian Syrahs. But those flavors evolve as wines age, and my two examples, an 18-year-old and a stripling of 17, had mellowed mightily during their years in bottle. Mellow, in fact, was the first word that sprang to mind on tasting them – rich and round, not with “porty overtones” but with a surprising lightness and elegance on the palate. They both seemed very complete, in the sense that I couldn’t imagine any quality I would want added to their flavor spectrum: Their black fruit and lingering hint of black pepper couldn’t be anything but Syrah, but it was Syrah that had been to finishing school. Neither was showing any sign of tiredness. I really don’t know how many years they had left in them, but it seems to me that I most luckily drank them at an ideal moment in their evolution. I only regret that I didn’t have the foresight to put away more of them. Who knew that this French grape would mature so well in the very different soils and microclimates of Italy? I probably shouldn’t be surprised considering who made these two: The Banfi Colvecchio was the handiwork of Ezio Rivella, who I recall took special pride in making truly textbook Syrah, and the Fontodi Syrah was overseen by the perfectionist Giovanni Manetti, who to my knowledge has never released a merely OK wine. Lovely wines both, and very satisfying with the two different dishes they accompanied. If Italian Cabernet sauvignon could taste this good or age this gracefully, I wouldn’t be such a Grinch about it, and Bordeaux would quickly lose a lot of its complacency. In addition to all the sensory pleasure that wines provide, some of them have the added dimension of history. We all enjoy a good story, and when it culminates in a lovely glassful, that’s even better. Diane and I and our good friend Gene recently experienced a wonderful convergence of those attractions over a celebratory dinner at Galatoire’s, in New Orleans. 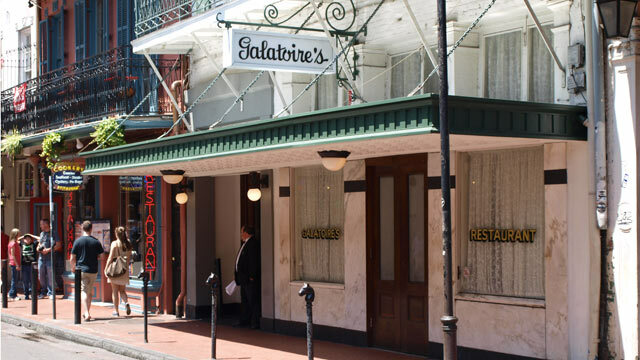 As most food and wine people know, Galatoire’s has plenty of history in its own right. Now approaching its 110th anniversary, Galatoire’s has for decades maintained its place as a – maybe the – classic New Orleans restaurant, and a dinner there is de facto a special occasion. This one was even more special because Diane and I were in New Orleans to celebrate (a) her birthday, (b) our anniversary, and (c) Gene’s birthday – one of those significant ones that end in 5 or 0. So we had a lot of convergence right there, in our own persons. Then there was the wine. With our appetizers and first course, we drank a truly lovely bottle of 2006 Hermitage blanc from Jaboulet, the house’s great Chevalier de Sterimberg. Now there’s a wine with history! The Rhône has been a wine river from antiquity. Greek settlers many centuries BC may have introduced the vine to its valley, or they may have found Gaulish tribes already cultivating it. 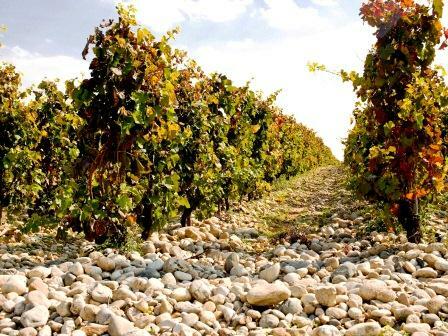 When the Romans finally got there in the first century BC, they rapidly exploited the microclimates and soils they found, and the area south of their regional headquarters at Vienne and north of their garrison at Valence quickly became an important wine center. It has remained so ever since, except for a period of snobbish neglect in the 19th century, when the wines of its principal appellation – Hermitage – were used to “ameliorate” the best wines of Bordeaux. The French even have a verb for it: hermitagiser. Lovers of Italian wine will recognize the pattern: Northern growers scorn the wines of their south but use them to give body and fruit and finesse to their own production. Plus ça change, plus c’est la même chose. On the Greco-Roman-Gaulish time scale, Hermitage is a Johnny-come-lately wine. It owes its start – or at least its name – to a French knight, Chevalier Gaspard de Sterimberg. According to the (fairly well attested) legend, our good knight was injured during the 13th-century Albigensian crusade, one of those episodes of French history about which the less said the better: Essentially, some of the nobility and all of the Church of southern France tried to exterminate what they called a nest of heretics centered in Albi – fratricidal war at its ugliest. At any rate, the injured and apparently chastened de Sterimberg convalesced at the top of what is now the Hermitage hill, where he built a chapel and spent the rest of his life in solitary and peaceful prayer. Whether all the vines that now climb up to his chapel – which, by the way, gives its name to Jaboulet’s glorious red Hermitage, La Chapelle – were already there is not clear, but there is certainly a long and continuous history of viticulture on the site. 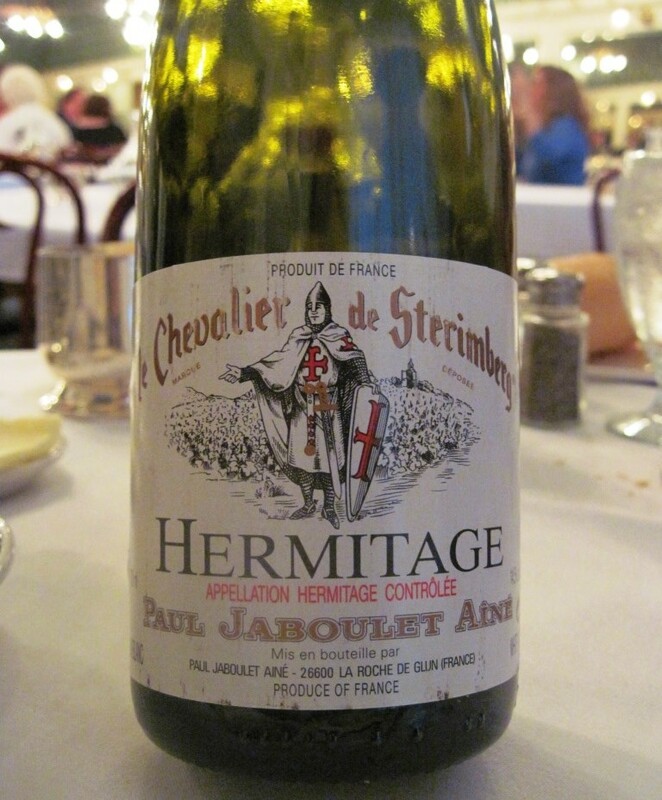 The Jaboulet firm was founded in 1807, and for a long while all the fame of its Hermitage accrued to its red wines. George Saintsbury thought red Hermitage “the manliest of wines,” back in the days when one could say such things without blushing or apologizing. Jaboulet even then produced the white Chevalier de Sterimberg, but it never acquired much of a reputation. Then, in the mid-1980s, Jaboulet began to change the way it made the wine: complete malolactic fermentation, some time in small oak, and a unique-for-the-area blend of Roussanne and Marsanne – almost 50-50, the largest percentage of Marsanne in the zone. The result has been what we enjoyed at Galatoire’s: a big, round white; fat without flabbiness; with unusual aromas and flavors – acacia flowers, hazelnuts, mineral – finishing with a hint of paradoxically dry honey. While still not as renowned as La Chapelle, Chevalier de Sterimberg has definitely become a cult wine in Europe and among consumers who relish the white wines of the Rhône. It has charm, and depth, and a degree of rarity (usually only 12,000 or fewer bottles made) and a wonderful ability to match with the most seemingly unlikely foods. 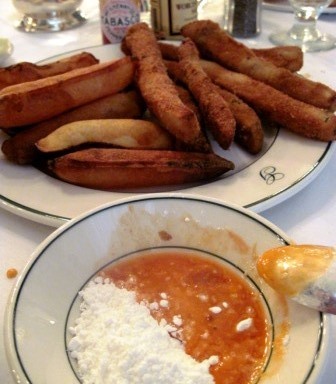 For example: Our bottle played happily with Galatoire’s “appetizers” (the quotation marks are there because Gene rightly warned us years ago that in New Orleans, there is no such thing as an appetizer) of souffléd potatoes and deep-fried eggplant spears, accompanied by Creole sauce béarnaise and an improbable but quite tasty muddle – mixed at the table – of powdered sugar and Tabasco sauce. After that, our first courses of crabmeat maison, shrimp remoulade (Diane has written about that dish here), and seafood gumbo gave the wine no difficulty at all. One more bit of history converges here too: After the sudden death of Gerard Jaboulet in 1997, the wines went into something of an eclipse until the Jaboulet family sold its properties to the owners of La Lagune in Bordeaux, whose daughter Caroline Frey, a trained enologist, took over in 2003 as the manager of all the estates. 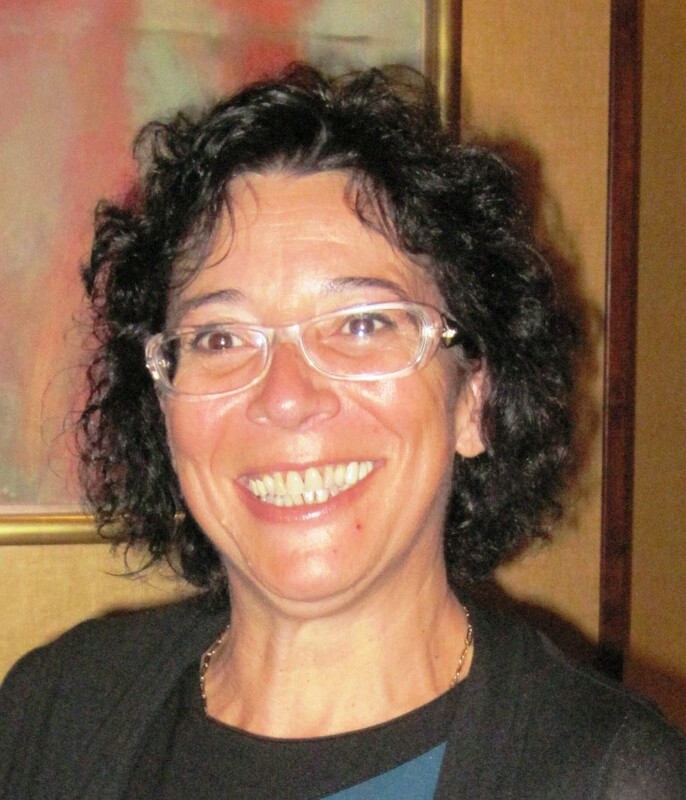 The wines since then have been hers, and she has very successfully continued the most progressive changes that Gerard Jaboulet had begun. So one more story merges into the old Chevalier’s, and all – including Diane’s and mine – converged at a splendid dinner in New Orleans. Happy birthday, Gene!